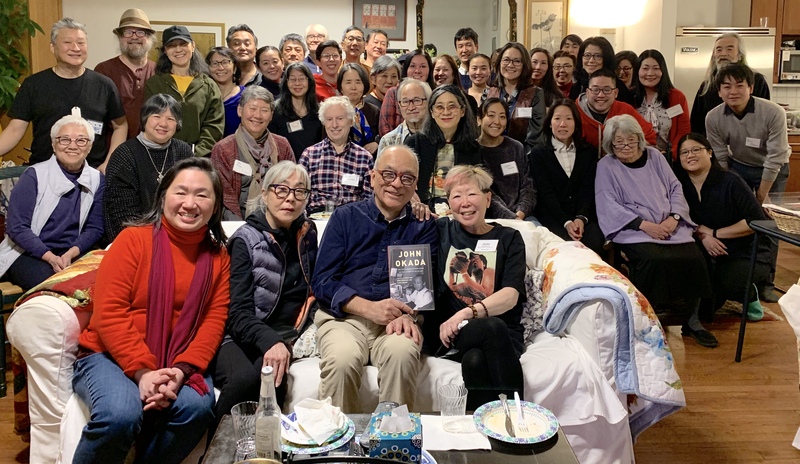 John Okada in a living room setting, and the night was made more special with the presence of John’s niece, Beverly Okada of Long Island (seated next to me on the sofa with the vest). 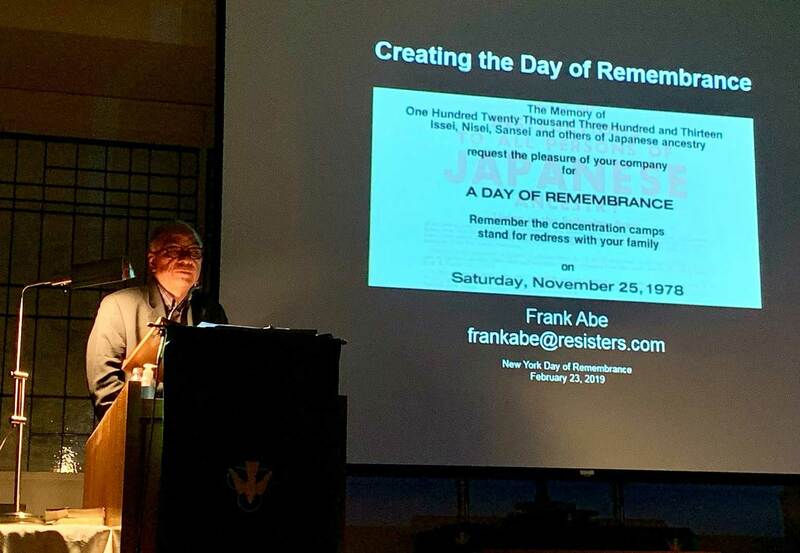 On Feb. 21, Floyd Cheung and I had a very warm welcome speaking about JOHN OKADA at the University of Connecticut’s Day of Remembrance. Greg Robinson was snowed in and participated via Skype. 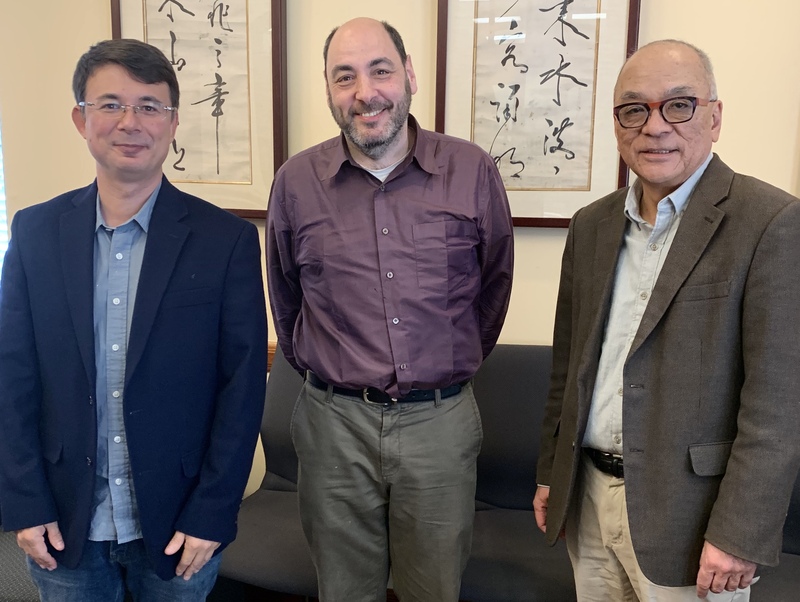 Thanks to Cathy Schlund-Vials, Jason Oliver Chang, and staff of the UConn Asian and Asian American Studies Institute for having it run so smoothly. A busy week, thanks to all who came to listen. Angelenos react to a rainstorm as Seattleites do to snow: it’s an excuse to stay indoors. 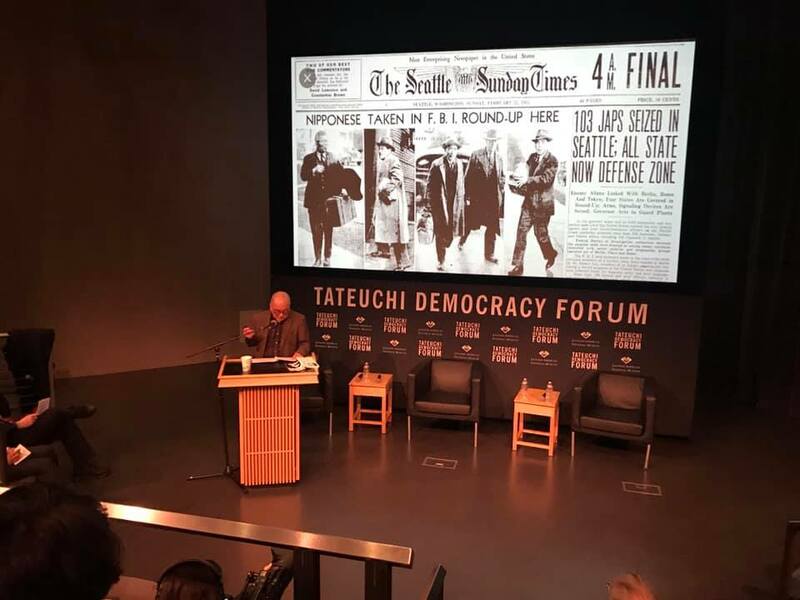 So we have many thanks to all those who braved the rain in Los Angeles last week to come to our JOHN OKADA launch events at USC, UCLA, and the Japanese American National Museum. Yamashita, Nobuko Miyamoto, Tak Hoshizaki, and Masumi Izumi even flew in from Japan for the weekend. 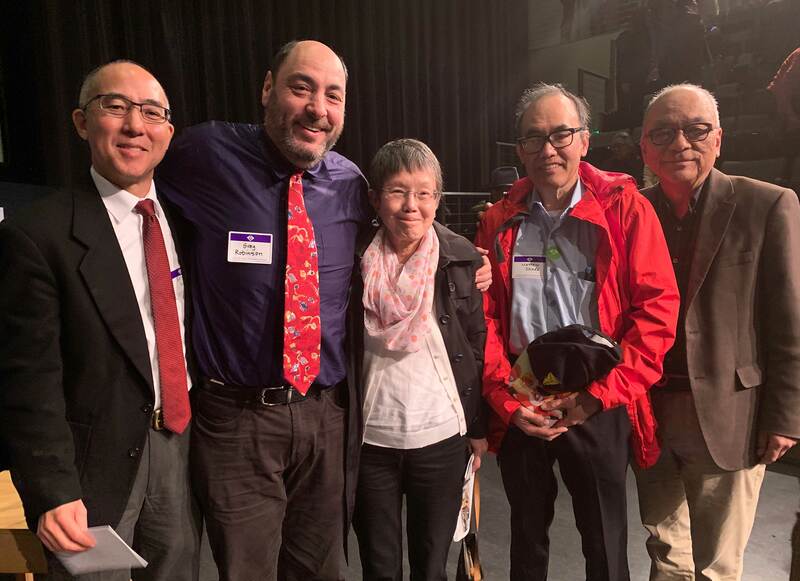 Our special guests for the event were John Okada’s children from Pasadena, Dorothea Okada and Matthew Okada, who contributed so much time in the writing of their father’s biography. copies of his new book on Buddhism inside the camps, American Sutra: A Story of Freedom and Faith in the Second World War. Look for Duncan to speak in a city near you; the book hits shelves, appropriately enough, on February 19. 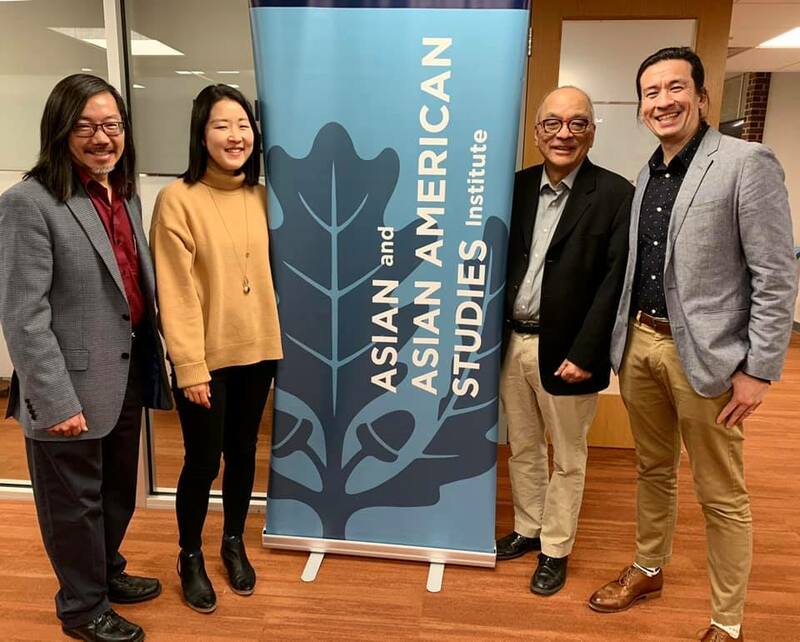 Finally, it was an honor to meet and converse with three brilliant leaders and scholars who are putting their stamp on the Asian American Studies program at UCLA. 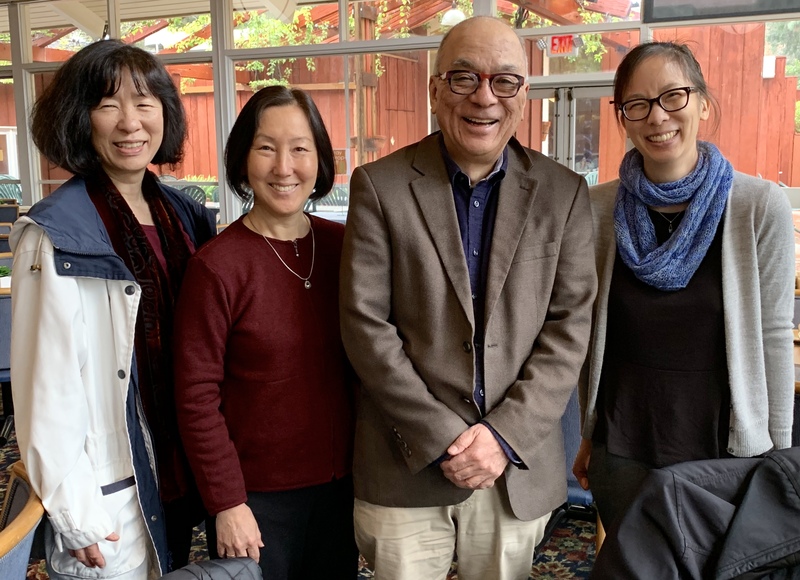 With Valerie Matsumoto, Karen Umemoto, and Kelly Fong, we had the venerable Faculty Club all to ourselves, prior to my presentation to Kelly’s AAS 103 research students. Thanks to all for making LA a hit. 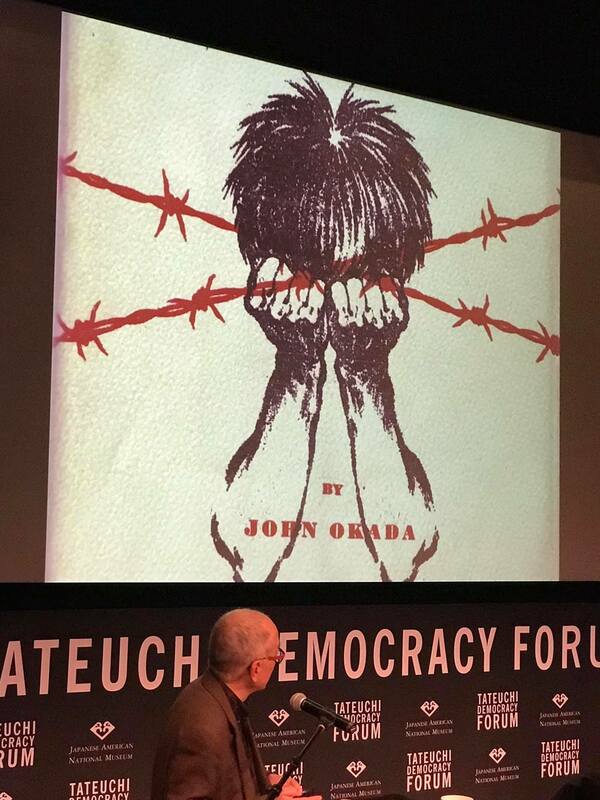 The Seattle book launch for JOHN OKADA was a fun one, thanks to the 85 people who joined us to celebrate the legacy of the Seattle novelist and help launch our new book on his life and unknown works. Two early reviews, a podcast, and a Facebook Live video. First, thanks go to Edgar-Award winning novelist Naomi Hirahara for taking the time to comment on our book. Advance copies of JOHN OKADA: The Life & Rediscovered Work of the Author of No-No Boy arrived in the mail this week, and the books are a joy to hold. The covers feel good in the hand, with the same texture as the 2014 paperback edition of No-No Boy itself. I’ll be lugging dozens of copies on the bus to the upcoming Tule Lake and Minidoka Pilgrimages for the booksellers there. 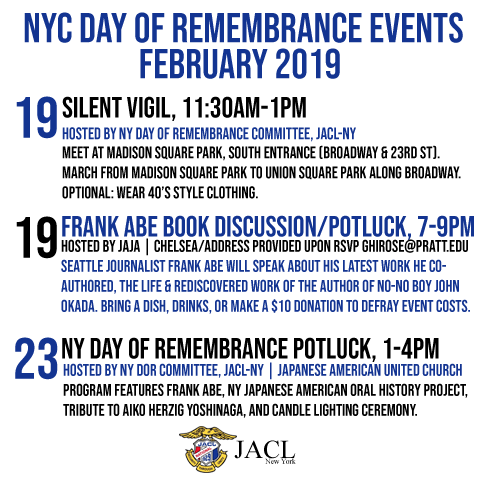 If you’re also going, please signal your attendance at these Facebook Events for our Tule Lake workshop, “No-No Boys, John Okada, and the Kibei Resistance at Tule Lake,” with Martha Nakagawa and Takako Day on July 1, or at the Minidoka panel, “John Okada, No-No Boy, and the Draft Resistance at Minidoka, on July 6. 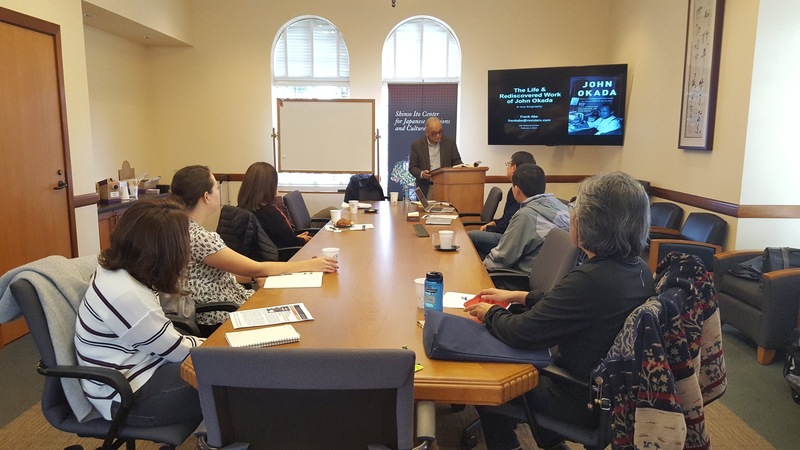 We’re pleased to announce the publication in July 2018 of a new book from the University of Washington Press that reveals new information about the life of John Okada and brings to light his unknown works. Preorder now through the UW Press and use the promo code WST30 to get a 30% discount.